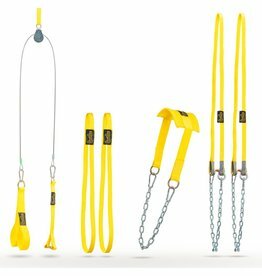 You can perform a wide range of exercises using our suspension Straps such as: suspended good mornings, suspended push-ups, rack lockouts for bench, and as a safety catch for squatting. 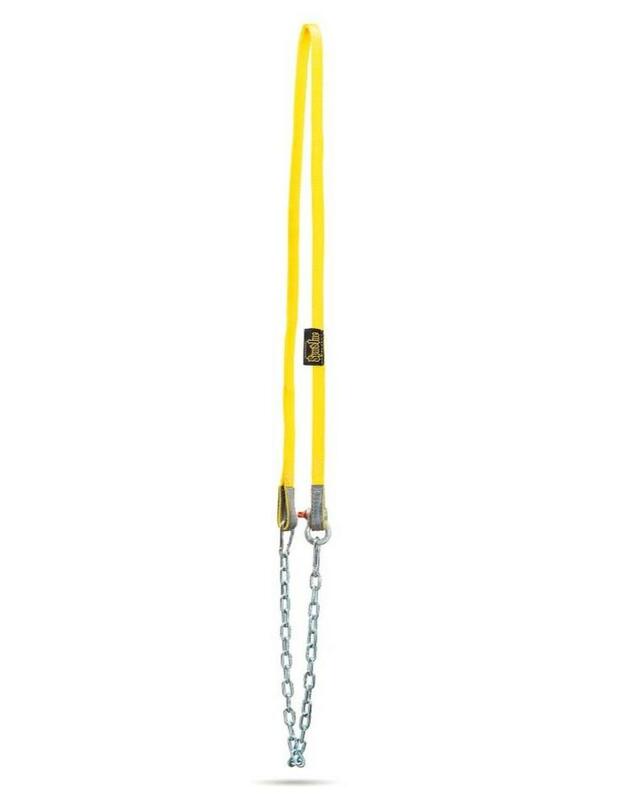 Spud Inc suspension straps are made from the strongest straps and chains for your safety. 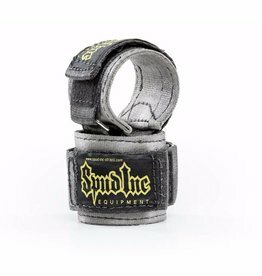 Our suspension straps can hold up to the heaviest weights being dropped into them and never break. 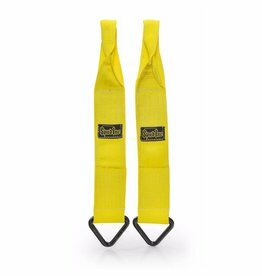 Spud Inc suspension straps are one of the most versatile products in the Spud Inc line. 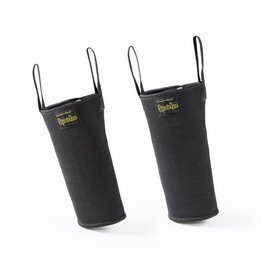 You can perform a wide range of exercises using our suspension Straps such as: suspended good mornings, suspended push-ups, rack lockouts for bench, and as a safety catch for squatting. 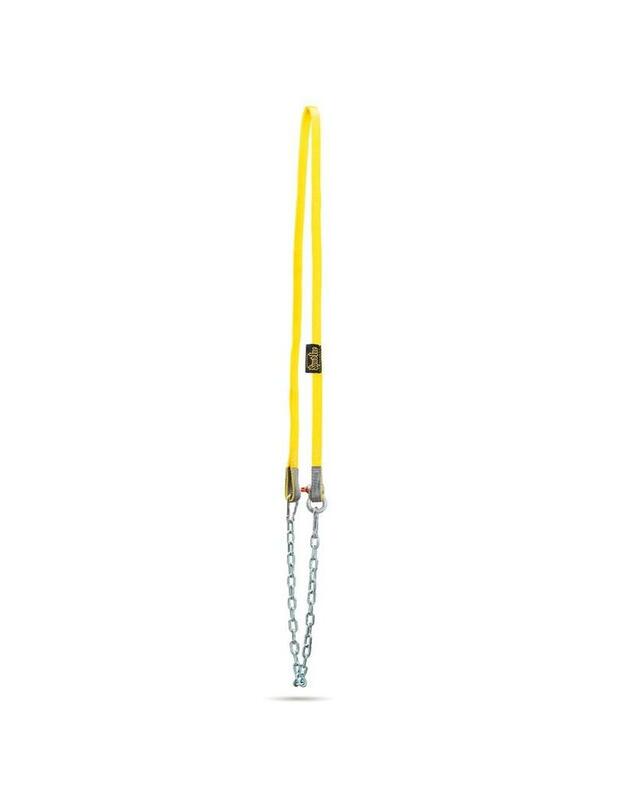 Suspension straps are a much better option than using chains that will tear up expensive bars and power racks because our suspension straps go directly over the rack and under the bar never leaving scratches or a nicked up bar. Spud Inc suspension straps are one of the best buys to outfit your power rack with to make it safer and more useful to you. Check out Spud using the suspension straps for good mornings with the cambered bar.